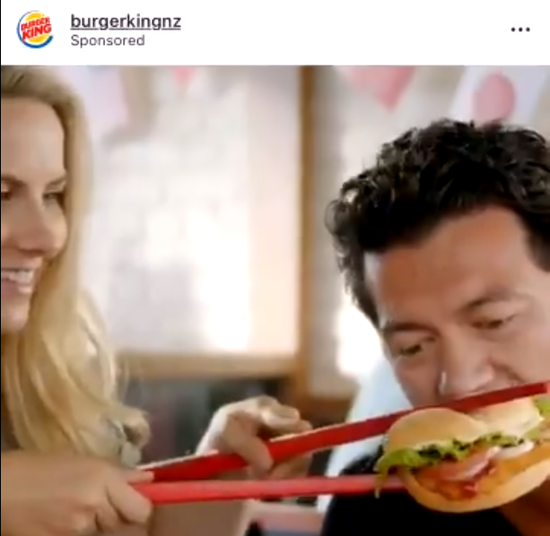 American fast food chain Burger King has issued a public apology after publishing an ad on its New Zealand Instagram account showing customers eating burgers with oversized chopsticks. Now the company has since removed the ad. In it, Burger King asks customers to "Take your taste buds all the way to Ho Chi Minh City with your Vietnamese Sweet Chili tendercrisp." A Korean-New Zealander "Maria Mo" shared her thoughts on Twitter. "I'm so sick of racism. Of any kind. Of the kind that makes fun of different cultures, to the king that shoots and murders those peacefully praying in their place of worship. Say no to every single manifestation of it," she wrote, while also asking for an apology from the company. Her thoughts have been shared in various parts of the world, with many dubbing the ad both racist and offensive. "I thought brands learned their lessons after the D&G chopsticks fiasco...Then again I'm not surprised," said another critic online. Last year, Italian fashion brand Dolce & Gabbana was accused of racism over its promotional videos featuring an Asian woman eating Western food with chopsticks. Many Chinese celebrities broke off their relationships with the company, while the latter was forced to cancel its upcoming show in Shanghai.